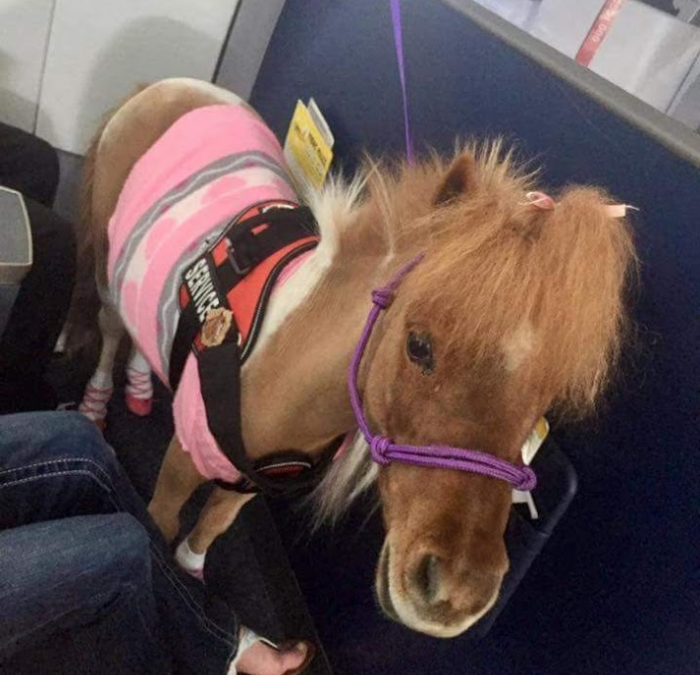 Due to ongoing abuse of the law implemented to aid disabled passengers traveling with service animals Delta Air Lines is implementing new rules for the so-called emotional support pet owners. Because untrained dogs/cats/horses/ pigs/turkeys/ducks are showing up at the ticket counter with falsified documents, the ticket agents they cannot refuse the animal. Last June a 70 pound “support animal” bit another passenger several times in the face on a Delta plane in Atlanta causing the victim to be hospitalized. Starting March 1, Before an animal will be accepted in the passenger cabin, Delta requires documentation and approval 48 hours in advance. They hope that this will ensure the safety for all passengers on board. Those who bring a pet on an airplane because they are nervous or afraid to fly are not covered under the Americans with Disabilities Act, Jennifer Schwenker said. Schwenker is the mother of twin boys with autism and her family has a service dog, Barkley. She said people who pretend to need an animal for support just to travel without paying fees are being disrespectful of those with disabilities.